Yup, it's the ideal use for the silicon carbide glowbar. Just need to get one (or two) small enough (shouldn't be too hard - lab supplies seems a likely place to look (IR spectroscopy)...). i've read a little more and this would be really cool to get to a stage where you could buy one/buy a kit to add to a project. ... this would be really cool to get to a stage where you could buy one/buy a kit to add to a project. This is exactly what I was discussing with a friend (an EE) last night. I think to comply with certain laws and regulations (safety, PAT testing etc. ), or rather to avoid the costs involved, the kit would need to be low voltage (under 50V) and would need to be sold as "battery powered" - so no providing mains 240 / 110 to low voltage converter (user can supply their own at their own risk). Or provide a manufactured power supply that has all the relevant inspections allready in place (technically to be sold separately). That's not to say that a completed lamp or kit couldn't be sold - it's just that it legally couldn't be described as "working" or come with a power cord... (This is why you often see antique electrical items sold as "decorative piece" and missing a power cord). Under 50V seems to be the way forward, according to the IET Code of Practice, it is not necessary to test extra low-voltage items. If the lamp is as efficient as they say it is, a large corporation will grab it up and get all the approvals required. Looks like it's easy enough to make your own. I, for one, don't need a kit. i'd need a kit, purely cos i get so frustrated on getting individual components. I'm going to have to build one, just to have in the "Victorian" corner of my shop. I'd be a hoot to watch peoples expressions as you "light" an electric lamp to start it! I may have to put a kerosene lantern globe over it, adding an additional "oh wow" to it once they realize the bulb is working outside of an enclosed glass. As for a kit, it could be done in two parts. This is the way gun people sell guns on ebay. They sell two kits, neither of which is "deadly" by themselves, but together they form a full function gun. Sell the base without the power cord. Then sell power cords and potato peelers in two more separate auctions. @SPBrewer : I am honored to be a Ships Engineer on such a magnificent airship . The voltage on the glower depends mostly on its length since this ceramics is an ionic conductor . Making it thinner should not affect the operating voltage much. The efficiency of the lamp cannot be as good as they claim . The glower loses its energy not only by radiation like a traditional light bulb does , but also by convection. But who cares about efficiency anyway ? Using the silicon carbide globar as a heater will pose two problems : its size and its price. Last year I had to replace one in the IR spectrometer and it costed over 300$ . The emitter in the SiC source is rather short , less then 10 mm so you would have to use more than one to heat the ceramics. I made some assessments of the temperature necessary to start the Nernst Lamp and it seems that with the "peeler glower" one needs to heat it to over 500 degrees Celsius . The original glowers probably had a bit different composition and this allowed them to be started with a match instead of the blowtorch . I will try to make the heaters by covering some nichrome wire coils with high-temperature ceramic glue . I have over 1kg of this stuff left from the renovation of the chimney. I wouldn't read too much into the claimed efficiency of the Nernst lamp, yes they may well be twice as efficient as the early CARBON filament lamp, but these were horrendous with their luminous efficacy (lumens per watt (lm/W) ). I have read of "16 candle power of light from 40W" carbon lamp, what we are seeing banned now is allready more efficient than that. *takes notes* hmm, interesting! I think it's safe to say we can rule out SiC heaters due to cost, and sourcing them would be a little troublesome anyhow. Nichrome wire seems to be the easiest material for most of us to source (dead toaster etc). As for the glower, I can't help but think there is a common use somewhere for a thin rod of the ceramic - but what that is, I couldn't say. It may be worth a look at / for alternative devices... One possibility is to get some samples made to our required specs - depending on how many are interested, and if anyone wishes to produce a kit form, this may be cost effective for a "group buy". There are a few sources of thin ceramic rods with a simple google search. Once we get the gremlins out of the process, this would be a good topic for the "How To" sub forum, maybe a sticky. Of course the honours of writing the tutorial should go to Mr. Consciousflesh. Found this page. Part of the information is in German though. 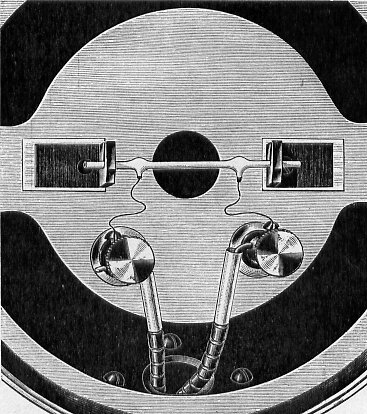 HTML version of a 1909 Nernst lamp manual. 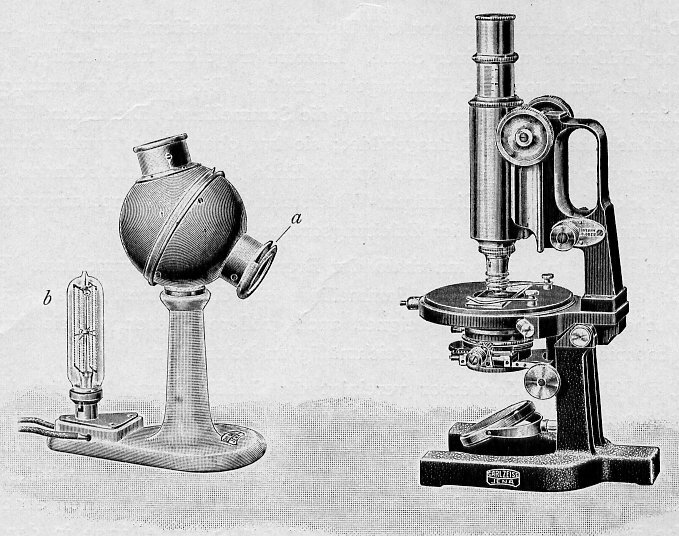 Scientific American on Nernst lamps, from 1900. 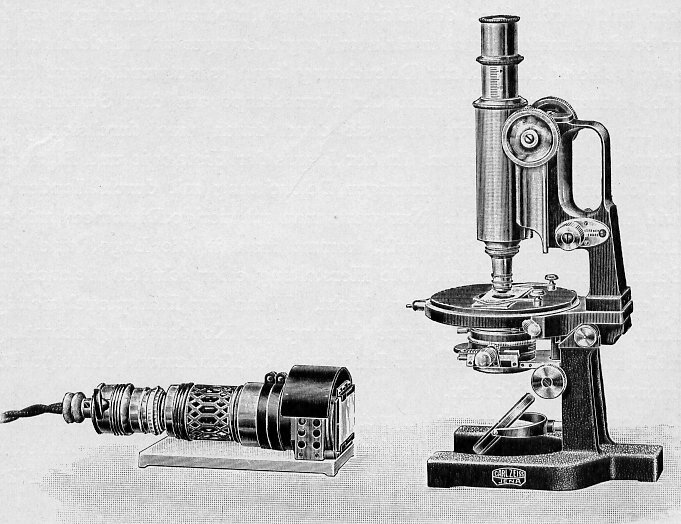 A Nernst lamp to use with a microscope. That's not an incandescent bulb, that's the current limiting resistor. Lighting the microscope Nernst lamp. Self igniting microscope Nernst lamp. This is GREAT! I've been thinking about building me a Victorian Lantern for some time now. Now it will get moved to the "front burner" as I will use a Nernst Lamp in it. I also just purchased an original Scientific American from 1900-09-01. Cool addition to my Library. would kanthal elements be any use? You can get Kanthal wire by length, and it seems to be a viable solution. Is Kanthal wire the same wire used in Toasters? Your avatar reminds me of a cartoon from some time back. Snorkelers and skin divers know that Yellow is the most visible color underwater especially to sharks. The cartoon shows several divers in different color swimming suits. Two sharks are under them and one says to the other one, "I hear the yellow ones taste just like chicken"! We will have to get you some more steam so that you don't run completely out. For some time I have been wanting to make a steampunk shop light. I have several large glass domes about 8" the kind used to protect lights in explosive environments, a reflector that fits perfectly into the dome and a large copper bowl that fits over the back of the reflector. All I need is a light source. At first I was intending to make it a regular halogen light, then I had the idea to use a carbon arc light but the difficulty in powering it makes it undesirable. But this Nernst lamp looks amazing. So correct me if I'm wrong but to make a Nernst lamp all I need is a ceramic potato peeler hooked up to 120 V AC power with a lightbulb for a resistor in the circuit? or am I missing something? Somehow this seems too good to be true. Ceramic potato peeler needs to be heated to work. You'd have to light it with a blowtorch. Improperly handled, it's a fire hazard, and it's even less efficient than a standard lightbulb. That's why we're talking about Kanthal wire to heat the ceramic element. Actually, I'll get some Kanthal wire, a ceramic knife, and a cheap temperature sensor. Let's see what I can do with that in an electronics lab. Ceramic potato peeler needs to be heated to work. You'd have to light it with a blowtorch. Is the lightbulb resistor wired in series or parallel with the element? I'm guessing in series but by electronics knowledge is very basic so I'll ask. edit: never mind, I see from looking more closely at the scientific american link that its in series. Went looking for a ceramic peeler today but had no luck. Give it a try and see. If it doesn't work, you might discover something else. The ebay seller "book1" is selling COPIES of vintage Scientific American magazines that go into detail about the Nernst Lamp. The 1911 edition appears to be a biography on Mr. Nernst. or $19.95 for an original of a magazine. Also be sure to tell him "The Sky Pirate" sent you. Who knows we might get a better rate. Ceramic sharpener rods do not work. Pity since they are a nice size and cheap but even when heated to 1500ºF it will not conduct. I tried 120 AC and then just for the hell of it hooked it up to my welder and tried 12 volts DC at 220 amps with no luck. Guess its time to order that peeler. Yup. Needs zirconia ceramic to work. Also, don't forget the current limiter. As far as I know all the ceramic sharpening tools are made from the alumina ceramic which is one of the best insulators . After some experiments I found that the best way to use the peeler blade is to grind the knife edge of the blade and then to cut it into four parts . The original blade is too long and too wide to be used ad a glower. In my first experiments I used only a half of the blade and after some on-off cycles the glower started to break from the thermal stresses . Now , with a narrower ceramic strip the problem seems to be gone ( at least for now ) . To grind and to cut the blade I use the diamond saw blade and the high speed "dremel-like" tool. With them running at 160W I was able to start the lamp in less than minute. Of course the glower was not touching the heaters . Now I have to install the heaters on the prototype and add the "shifter" relay . The current limiter will be probably the hardest part to replicate. 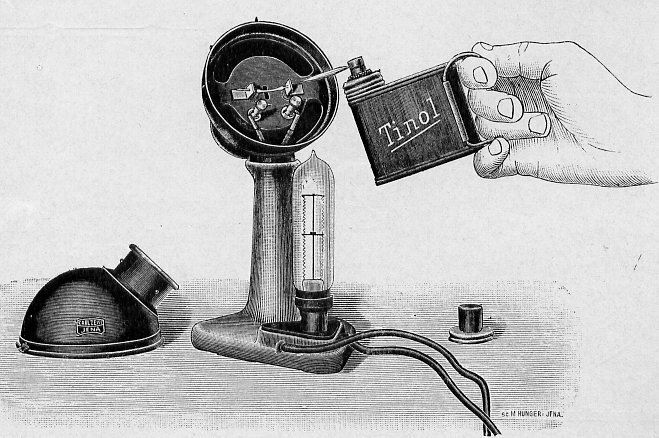 The original Nernst lamps used the iron wire current limiters encased in hydrogen filled glass bulbs. Designing and making such device will be really hard. I'm sure there are simple modern counterparts that could be found though? Dear Mr. Santa: Please send my ordered Kanthal wire tomorrow, that I may win the experimental race with Mr. Consciousflesh. I plan to wind a Kanthal coil around the heating element. Not touching and on a different circuit. I'll experiment with an appropriate circuit later. For the first run, I intend to use a stabilised lab power supply, and a momentary switch for the heater, which will use a second independent power supply. The completely finished end result is planned to go into a standard Edison screw salvaged from a lightbulb. Oh my, the Germans and Polish are about to duke it out again!